It is important to know the characteristics of the stages of baby development so that the mother can keep a watchful eye on her new baby, and ensure that development is taking place properly. Here’s an overview of the step by step development that a baby undergoes. 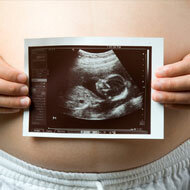 In the baby’s first month, many changes take place. In a few weeks time, the baby becomes more alert and is able to track moving objects with his eyes. He is able to perform small head movements which serve to strengthen.